Compiled and Edited by Miloslav Rechcígl, Jr.
No part of tis publication may be reproduced in any form, by photostat, microfilm, or any other means without written permission from the Society. The part played by the immigrants from Bohemia, Moravia and Slovakia – that comprise today’s Czechoslovakia-tn the growth and development of The United States has not been by any means insignificant. From early colonial times and later immigration waves to The present, these European settlers and their descendants have participated in practically every sector of the American society and have made important contributions to economic, cultural and spiritual life in this country.1 A good measure of these people’s contributions and achievements is their record of selection and election to public office. The present volume represents the first serious effort to identify the members of the US. Congress who have their roots in Czechoslovakia. The listing includes persons born on the territory of today’s Czechoslovakia as well as individuals of Czechoslovak descent, born in the United States. The term Czechoslovak, as defined here, should be interpreted strictly in a geographic context without regard to nationality of The listed individuals. Altogether, sixty-one individuals are listed, of whom forty-five can claim their ancestry in Czechoslovakia. In addition, the publication includes sixteen other legislators whose spouses are of Czechoslovak descent. Of the first forty-five legislators whose ancestry is rooted on the territory of today’s Czechoslovakia, there are fifteen U.S. senators and Thirty-six U.S. representatives, Six individuals, namely Bender, Brewster, Clayton, Dworshak, Hruska, and Lamar have served both Houses, which explains the seeming discrepancy between the number of the listed individuals and the number of offices they held. Congressmen Michalek, Sabath and Stefan are the only legislators who actually were born on the territory of Czechoslovakia, all others have been born in the U.S. It is noteworthy that twenty-one legislators are direct descendants of Augustine Herman, the First Lord of Bohemia Manor who emigrated in the early part of the seventeenth century from Bohemia via Holland to New Amsterdam (now New York City) and then settled permanently in Maryland-2 In addition, nine other legislators married Augustine Herman’s descendants. In addition to Herman, there was another prominent Bohemian who lived in the seventeenth century America, namely Frederick Philipse3 who left a prolific progeny, whose descendants have married into the first families of America, Canada, and Great Britain. Although we have been able so far to identify only one legislator with direct lineage to Frederick Philipse, we have traced six spouses descended from him. Six legislators, i.e. Beck, Demuth, two Kitteras and two Shobers are descendants of the Moravian Brethren who came to America from Moravia in the eighteenth century.4 Phillips and Jonas are descendants of Bohemian Jewish families who immigrated to the U.S. in the eighteenth and early nineteenth centuries, respectively. The remainder of the listed legislators are the first or the second generation Americans whose ancestors immigrated to the 13.5. in the nineteenth century. The Czechoslovak origin of this group of “contemporary” legislators, which includes Babka, Bender, Dworshak, Gaydos, Hruska, Konop, Mottl, Mrazek, Ruppe, Schneider, Vanik and Visclosky is generally known. The identification of individuals with Czechoslovak roots, born in the US., particularly those in Colonial times, was not an easy task and is the result of painstaking research, utilizing numerous historical and genealogical sources. The Czechoslovak origin has been determined and verified for every legislator with the exception of DeMuth(5) and the two Kitteras (6), whose Moravian background has been strongly suggested. 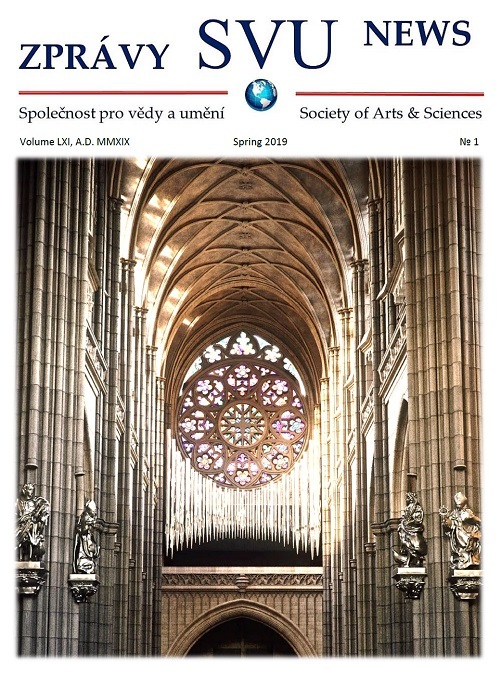 The evidence of Czechoslovak ancestry of individual legislators or legislators’ spouses from the eighteenth and nineteenth centuries is shown by the genealogical lineages appended at the end of the volume. No claims are made as to the completeness of the present listing since further research may yet uncover additional personalities of Czechoslovak ancestry among the U.S. legislators. Individual biographies of the listed Legislators are based primarily on the Biographical Directory of the American Congress (1774-1971) and the relevant volumes of the Congressional Directory. Whenever appropriate, the information was supplemented or updated, using standard biographical sources. Should the readers desire additional information they may consult the Dictionary of American Biography and its Supplements which contain sketches of many deceased members of the U.S. Congress. This researcher would welcome any new information which would add to or modify the present compilation. BASSETT, Richard (descendant of Augustine Herman), a Senator from Delaware; born on his father’s plantation in Kent County, Md., April 2, 1745; pursued preparatory studies; studied law; was admitted to the bar and practiced in Delaware; captain of a Delaware troop in the Colonial Army; member of the State constitutional conventions in 1776 and 1792; member of the State senate in 1782; served in the State house of representatives in 1786; delegate to the convention which framed the Constitution of the United States in 1787; member of the Delaware convention which ratified the Federal Constitution in 1787; elected to the United States senate and served from March 4, 1789, to March 3, 1793; is credited with being the first man to cast his vote to locate the Capital of the United States on the Potomac River; chief justice of the court of common pleas from September 6, 1793, to January 8, 1799;presidential elector on the Adams ticket in 1797;Governor of Delaware from January 9, 1799, to Match 3, 1801; appointed United States circuit judge by President Adams on March 3,1801 ;died on his estate, “Bohemia Manor,” in Cecil County, Md., August 15, 1815; interment in Wilmington and Brandywine Cemetery, Wilmington, Del. BAYARD, James Asheton, Jr. (grandson of Richard Bassett, descendant of A. Herman), a Senator from Delaware; born in Wilmington, Del., November 15, 1799; pursued classical studies; studied law; was admitted to the bar and commenced practice in Wilmington; United States district attorney for Delaware 1838-1843; elected as a Democrat to the United States Senate in 1851; reelected in 1857 and 1863 and served from March 4, 1851, to January 29, 1864, when he resigned; resumed the practice of law in Wilmington; appointed in 1867 to the United States Senate to fill the vacancy caused by the death of George Read Riddle; was subsequently elected, and served from April 5. 1867, to March 3, 1869; was not a candidate for reelection; delegate to the Democratic National Convention at New York City in 1868; again resumed the practice of law; died in Wilmington, Del., June 13, 1880; interment in the Old Swedes Burial Ground. BAYARD, Richard Henry (grandson of Richard Bassett, descendant of A. Herman), a Senator from Delaware; born in Wilmington, Del,, September 23, 1796; was graduated from Princeton College in 1814; studied law; was admitted to the bar in New Castle, Del., in 1818 and commenced practice in Wilmington; first mayor of Wilmington in 1832; elected as a Whig to the United States Senate to fill the vacancy caused by the resignation of Arnold Naudain and served from June 17, 1836, to September 19, 1839, when he resigned to become chief justice of Delaware; served as chief justice until January 12, 1841, when he resigned, having been again elected to the United States Senate to fill the vacancy caused by his own resignation, and served from January 12, 1841, to March 3, 1845; was not a candidate for reelection in 1845; Charge d’affaires to Belgium from December 10, 1850, to September 12, 1853; died in Philadelphia, Pa., March 4, 1868 internment in the Wilmington and Brandywine Cemetery, Wilmington, Del. BENDER, George Harrison (of Bohemian descent); a Representative and a Senator from Ohio; born in Cleveland, Ohio, September 29, 1896; attended the public schools; engaged in the insurance business in 1930; in 1934 founded and became editor and publisher of the National Republican magazine; served in the State senate 1920-1930; chairman of the Republican central committee of Cuyahoga County 1936-1954; unsuccessful candidate for election to the United States House of Representatives in 1930, 1932, 1934, and 1936; elected as a Republican to the Seventy-sixth and to the four succeeding Congresses (January 3, 1939- January 3, 1949); unsuccessful candidate for reelection in 1948 to the Eighty-first Congress; elected to the Eighty-second and Eighty-third Congresses and served from January 3, 1951, until his resignation effective December 15, 1954; elected to the United States Senate to fill the vacancy in the term ending January 3, 1957, caused by the death of Robert A. Taft, and served from December 16, 1954, to January 3, 1957; unsuccessful candidate for reelection in 1956; special assistant to Secretary of the Interior, Washington, D.C., from June 10, 1957, to May 16, 1958; died in Chagrin Falls, Ohio, June 18, 1961; interment in Knollwood Cemetery, Mayfied Heights, Cleveland, Ohio. BREWSTER, Daniel Baugh a Representative and a Senator from Maryland; born in Baltimore County, Md., November 23, 1923; educated at Gilman School, Baltimore, Md,, St. Paul’s School, Concord Nil., Princeton University, and Johns Hopkins University; during World War II enlisted as a private in the United States Marine Corps in 1942; commissioned as a second lieutenant in 1943 and served two years in the South Pacific as troop commander in Raider Battalion; landed in assault waves on Guam and Okinawa invasions; wounded in three different engagements; awarded the Purple Heart Medal, a God Star in lieu of second Purple Heart, and Bronze Star; separated from active service in 1946; colonel in the United States Marine Corps Reserve; graduated from the University of Maryland Law School in 1949; was admitted to the bar in 1949 and commenced practice of law in Towson, Md. ; elected to the Maryland House of Delegates in 1950; reelected in 1954 and served until 1958;member of Veterans Advisory Commission in 1947, Commission To Study Maryland Unemployment Compensation Law in 1951, and Burke Commission To Study Judiciary of Maryland in 1952; Baltimore County representative on Port of Baltimore Commission in 1954 and 195$; vice chairman of Commission to Review State Roads Commission program in 1957; delegate, Democratic National Conventions, 1964 and 1968; elected as a Democrat to the Eighty-sixth and Eighty-seventh Congresses (January 3,1959-January 3, 1963); was not a candidate for renomination in 1962 to the Eighty-eighth Congress; elected to the United States Senate for the term beginning January 3, 1963, and ending January 3, 1969; unsuccessful candidate for reelection in 1968; resumed the practice of law; is a resident of Owings Mills, Md. DWORSHAK, Henry Clarence (of Bohemian descent),a Representative and a Senator from Idaho; born in Duluth, Minn, August 29, 1894; attended the public schools; worked at the printing trade 1909-1918; during the First World War served overseas as a sergeant in the Fourth Antiaircraft MaclUng Gun Battalion in 1918 and 1919; manager of printers’ supply business in Duluth, Minn., 1920-1924; editor and publisher of the Burley Bulletin in Burley, Idaho, 1924-1944; elected as a Republican to the Seventy-sixth mid to the three succeeding Congresses and served from january 3, 1939, to November 5, 1946, when lie resigned; elected to the United States Senate on November 5, 1946, to fill the vacancy caused by the death of John Thomas and served from November 6, 1946 to January 3, 1949; unsuccessful candidate for reelection in 1948; appointed to the United Slates Senate arid subsequently elected to fill the vacancy caused by the death of Bert H. Miller and served from October 14, 1949, to January 3, 1955; reelected in 1954 and again in 1960 and served until his death in Washington, D.C., July 23, 1962; interment in Arlington National Cemetery, Fort Myer, Va.
HRUSKA, Roman Lee (of Bohemian descent), a Representative and a Senator from Nebraska; horn in David City, Butler County, Nebr., August 16, 1904; attended the public schools; took a prelegal course at the University of Omaha 1923-1925; attended the University of Chicago Law School in 1927 and 1928; graduated from Cieighton University College of law, Omaha, Nebr., in 1929; was admitted to the bar in 1929 and commenced practice in Omaha, Nebr. ; member of Board of Douglas County Commissioners 1944-1952 and chairman 1945-1952; member of Advisory Committee to Nebraska Board of Control 1947-1952; president Nebraska Association of County Officials in 1950 and 1951 ;vice president of National Association of County Officials in 1951 and 1952; vice chairman of Nebraska Civil Defense in 1951 and 1952;member of Board of Regents of the University of Omal3a 1950-1957; delegate of large to the Republican National Convention in 1960; elected as a Republican to the Eighty- third Congress and served from January 3, 1953, until his resignation November 3, 1954, having been elected to the United States Senate to fill the vacancy caused by the death of Hugh Butler, and served from November 8, 1954, to January 3. 1959; reelected in 1958 and again in 1964 for the term ending January 3,1971, and again in 1970 for the tern ending January 3, 1977; resumed law practice Omaha 1976-; is a resident of Omaha, Nebr. JONAS, Benjamin Franklin (of Bohemian descent), a Senator from Louisiana; born in Williamsport, Grant County, Ky., July 19, 1834; moved with his parents to Adams County, Ill; attended the public schools; moved to New Orleans, La., in 1853; was graduated from the law department of the University of Louisiana at Pineville in 1855; was admitted to the bar the same year and commenced practice in New Orleans; enlisted as a private in the Confederate Army in 1862 and served in the Washington Artillery until 1863, when Captain Penner’s battery joined Hood’s corps of the Army of the Tennessee; appointed sergeant major and later adjutant of the Artillery regiment commanded by Col. Robert F. Beckham and served throughout the Civil War; member of the State house of representatives 1865-1868; chairman of the Louisiana delegation to the Democratic National Convention at New York City in 1868; elected to the State senate in 1872 but declined to take the seat; city attorney of New Orleans 1875-1879; delegate to the Democratic National Conventions in 1876 and 1884; member of the State house of representatives in 1876 and 1877; elected as a Democrat to the United States Senate and served from March 4, 1879, to March 3, 1885; unsuccessful Democratic candidate for reelection to the United States Senate in 1884; collector of the port of New Orleans 18854889; resumed practice of law; died in New Orleans, La., on December 21, 1911; Interment in Dispersed of Judah Cemetery. LAMAR, Lucius Quintus Cincinnatus (descendant of A. Herman), a Representative and a Senator from Mississippi; born near Eatonton, Putnam County, Ga., September 17, 1825; attended the Scottsboro School near Milledgeville, Ga,, and the Georgia Conference Manual Labor School 1835-1838; moved to Oxford, Miss. ; was graduated from Emory College, Oxford, Ga., in 1845; studied law in Macon; was admitted to the bar in 1847; returned to Oxford, Miss., in 1849 and served one year as professor of mathematics in the University of Mississippi at Oxford; moved to Covington, Ga., in 1852 and practiced law; member of the State house of representatives 1853; returned to Lafayette County, Miss., in 1855; elected as a Democrat to the Thirty-fifth and Thirty-sixth Congresses and served from March 4, 1857, until his retirement in December 1860 to become a member of the secession convention of Mississippi January 9,1861; during the Civil War served in the Confederate Army as lieutenant colonel and colonel of the Eighteenth Mississippi Regiment; entered the diplomatic service of the Confederacy and was sent on a special mission to Russia, France, and England in 1863; member of the State constitutional conventions in 1865, 1868, 1875, 1877, and 1881; professor of political economy and social science in the University of Mississippi in 1866; professor of law in 1867; elected to the Forty-third and Forty-fourth Congresses (March 4, 1873-March 3, 1877); did not seek renomination in 1876, having been elected Senator, delegate to the Democratic National Convention at Cincinnati in 1880; elected to the United States Senate in 1877; reelected in 1883 and served from March 4, 1877, until March 6, 1885, when he resigned; Secretary of the Interior in the Cabinet of President Cleveland from March 6, 1885, until his resignation on January 10, 1888; appointed by President Cleveland to be Associate Justice of the United States Supreme Court; confirmed January 16. 1888; took his seat two days later and served until his death in Vineville, Ga., January 23, 1893; interment in Riverside Cemetery, Macon, Ga., reinterment in St. Peter’s Cemetery. Oxfod, Miss., in 1894. TYDINGS, Joseph Davies (descendant of A. Herman), a Senator from Maryland; Born in Asheville, Buncombe County, N.C., May 4, 1928; attended the public schools of Aberdeen, Md,, graduated McDonogh School in 1946, the University of Maryland in 1950; and the University of Maryland Law School in 1953; served in Army of Occupation, European Theater of Operations after World War II, corporal, Sixth Cavalry; was admitted to the bar in 1952 and commenced the practice of law in November 1952; president, Young Democratic Clubs of Maryland, 1953-1955; member of the State house of delegates, 1955-1961; United States attorney for Maryland, 1961-1963 United States representative at the Interpol Conference in Helsinki, Finland, and at the International Penal Conference in Bellagio, Italy, in 1963; elected as a Democrat to the United States Senate, November 3, 1964, for the term commencing January 3, 1965, and ending January 3, 1971; unsuccessful candidate for reelection in 1970; resumed law practice In Washington, D.C. 1971-; special Sr. consultant to UN Fund for Population Activities 1971.; Vice- chairman of board of regents of the University of Maryland 1979-; is a resident of Havre de Grace, Md. BECK, James Montgomery (descendant of Moravian Brethren from Moravia), a Representative from Pennsylvania; born in Philadelphia, Pa., July 9,1861; attended the public schools and was graduated from Moravian College, Bethlehem, Pa., in 1880, employed as clerk for a railway company in 1880 and studied law at night; was admitted to the bar in 1884 and commenced practice in Philadelphia; admitted to the bar of New York City in 1903, and to the bar of England in 1922; served as assistant United States attorney for the eastern district of Pennsylvania 1888-1892 and as United States attorney 1896-1900; appointed by President William McKinley as assistant to the Attorney General of the United States in 1900 and served until his resignation in 1903; continued the practice of law in Philadelphia, New York City, and Washington from 1903 to 1921; during the First World War he championed the cause of the Allies and was elected a bencher of Gray’s Inn in 1914, being the first foreigner in 600 years to receive that distinction; also received decorations from France and Belgium; author of several books and articles on the war and on the Constitution of the United States; appointed by President Warren G. Harding as Solicitor General of the United States in 1921 and served until his resignation in 1925; resumed the practice of law; elected as a Republican to the Seventieth Congress to fill the vacancy caused by the resignation of James M. Hazlett; reelected to the Seventy- first, Seventy-second, and Seventy-third Congresses and served from November 8, 1927, until his resignation on September 30,1934; resumed the practice of law and was also engaged as an author; died in Washington, D.C., April 12, 1936;intermentin Rock Creek Cemetery. BENDER, George Harrison, a Representative and a Senator from Ohio (see under U.S. Senators). BOULDIN, James Wood (brother of Thomas Tyler Bouldin, descendant of A. Herman), a Representative from Virginia; born in Charlotte County, Va. in 1792; attended the common schools; studied law; was admitted to the bar April 12, 1813, and commenced practice at Charlotte County House, Va.; elected as a Jacksonian Democrat to the Twenty-third Congress to fill the vacancy caused by the death of Thomas T. Bouldin; reelected to the Twenty-fourth and Twenty-fifth Congresses and served from March 15, 1834, to March 3, 1839;resumed the practice of law and also engaged in agricultural pursuits; died at his country home, “Forest Hill,” Charlotte County, Va,, March 30, 1854; interment in the private burial ground on his estate. BOULDIN, Thomas Tyler (brother of lames Wood Bouldin, descendant of A. Herman), a Representative from Virginia; born near Charlotte Court House, Charlotte County, Va,, in 1781; attended the country schools; studied law; was admitted to the bar December 6, 1802; and commenced practice at Charlotte Court House, Va., appointed judge of the circuit court; elected as a Democrat to the Twenty-first and Twenty-second Congresses (March 4, 1829-March 3, 1833); unsuccessful candidate for reelection to the Twenty-third Congress; subsequently elected to the Twenty-third Congress to fill the vacancy caused by the death of lohn Randolph and served from August 26, 1833, until his death in Washington, D.C., February 11, 1834, while addressing the House of Representatives; interment in a private cemetery on his farm, “Golden Hills,” near Drakes Branch, Charlotte County, Va.
BRECKINRIDGE, John Bayne (a descendant of A. Herman), a Representative from Kentucky; born in Washington, D.C., November 29, 1913; attended various Lexington schools, Massie Prepatory, Versailles, Ky., Tome Prepatory, Port Deposit, Md. ; University of Kentucky, A.B., 1937, LL.B., 1939; admitted to the Kentucky Bar, 1940 and commenced practice in Lexington, KY.; special attorney, Anti-Trust Division, Department of Justice, 1940-41; served in the U.S. Army during World War II, 1941- 46; attained rank of colonel; Hoard of Economic Warfare, 1941-42; assistant chief, International Division, USAF IME Headquarters; cornmanding officer, U.S. Military liaison Headquarters, Albania; private law practice, 1946-72; elected to Kentucky House of Representatives, 1956-60; attorney general of Kentucky, 1960-64 and 1968-72; corporation counsel, city of Lexington, 1964; commissioner, National Conference of Commissioners on Uniform State Laws, 1960-64; chairman, Kentucky Science and Technology Advisory Council, 1966-69; chairman, Kentucky Advisory Committee on Nuclear Energy, 1960-66; vice-chairman and chairman Southern Interstate Nuclear Board 1962-65; board of trustees, Frontier Nursing Service; Kentucky Constitution Revision Committee, 1960-63; counsel, Kentucky Citizens for Child Welfare, 1956-59; vice- chairman, Kentucky Social Welfare Foundation; 1960 White House Conference on Children and Youth; Kentucky Commission on Children and Youth, 1966-70; vice president, United Cerebral Palsy Association Inc.; president, United Cerebral Palsy Association of Kentucky and the Bluegrass, 1956-58; chairman, Kentucky Water Pollution Control Commission, 1968; Kentucky Air Pollution Control Commission, 1968-72; chairman, National Association of Attorneys General, Committee of the Office of Attorney General, 1968-72; recipient of National Association of’ Attorneys Generals’ Wyman Award for outstanding State attorney general, 1968-69; member: American, Kentucky, Fayette, and Franklin County Bar Association; board of directors, American Judicature Society 1964-65; vice chairman, Kentucky Welfare Association, 1962-63; president, Kentucky Historical Society, 1961-63; VFW; American Legion; president, Theta Chapter, Kappa Alpha, 1936-37; delegate, Kentucky State Democratic Convention, 1968, Democratic National Convention, 1960; chairman of executive committee of Congressional Rural Caucus for 94th and 95th Congress; member, advisory committee on the Congressional Clearing House of the Future; member, National Security Research Group; elected ~s Democrat from Kentucky 6th Dist. to the 93rd Congress, November 7, 1972; reelected to 94th and 95th Congresses; member of Agriculture and Small Business Committee; died on July 29, 1979; buried in Lexington, KY.
BREWSTER, David Baugh, a Representative and a Senator from Maryland (see under U.S. Senators). BRYCE, Lloyd Stephens (descendant of A. Herman), a Representative from New York; born in Flushing, Queens County, N.Y., September 20, 1850; attended public schools and Georgetown University, Washington, D.C.; was graduated from Oxford College, England, in 1869; studied law at Columbia Law School, New York City; paymaster general for the State of New York in 1886 and 1887; elected as a Democrat to the Fiftieth Congress (March 4,1887-March 3, 1889); unsuccessful candidate for reelection in 1888 to the Fifty-first Congress; editor of the North American Review 1889~1896; appointed Envoy Extraordinary and Minister Plenipotentiary to the Netherlands August 12,. 1911, and served to September 10, 1913; died in Flushing, N.Y., April 2, 1917; interment in Greenwood Cemetery, Brooklyn, N.Y.
CONSTABLE, Albert (descendant of A. Herman), a Representative from Maryland; born near Charlestown, Md., June 3,1805; studied law; was admitted to the bar in 1829 and settled in Bel Air, Hartford County, Md. ; moved to Baltimore and practiced law; later moved to Perryville, Cecil County, Md,; elected as a Democrat to the Twenty-ninth Congress (March 4, 1845-March 3, 1847); judge of the circuit court of Maryland in 1851; died in Camden, Ni, September 18,1855. DANIEL, Robert W. Jr. (descendant of A. Herman), a Representative from Virginia; born in Richmond, Va., March 17, 1936; educated in the Fay School, Southboro, Mass., 1946-49; Woodberry Forest School, Woodberry Forest, Va,, 1949-54; University of Virginia, BA. in history, 1954-58; Columbia University, M.B.A., 1960-61; active duty as U.S. Army Reserve officer, 1969, financial analyst, J. C. Wheat Co., Richmond, 1961-62; instructor economics, U. Richmond School of Business, 1963; owner and operator, Brandon Plantation, Prince George County, VA, 1968-; U.S. Central Intelligence Agency, 1964-68; former member, Commonwealth of Virginia Board of Conservation and Economic Development; former member, Prince George. County Planning Commission, secretary; trustee, Sheltering Arms Hospital, Richmond; Virginia Farm Bureau Marketing Committee; trustee, Atlantic Rural Exposition (State Fair Virginia); former director, YMCA; vestryman, Brandon Episcopal Church; elected as a Republican from VA 4th Dist. to the Ninety-third through Ninety-seventh Congresses (1973-82). DE MUTH, Peter Joseph (descendant of Moravian Brethren), a Representative from Pennsylvania; born in Pittsburgh, Pa., January 1, 1892; attended the public and high schools; was graduated from Carnegie Institute of Technology, Pittsburgh, Pa., B.S., 1914; was a civil engineer from 1914 until his enlistment in the United States Navy as a chief machinist mate during the First World War on July 15, 1918; commissioned engineering ensign and served until honorably discharged May 10, 1919; returned to Pittsburgh, Pa., was employed as a sales manager 1919-1922; engaged in the real-estate business arid as a building contractor in 1922; elected as a Democrat to the Seventy-fifth Congress (January 3, 1937- January 3, 1939); unsuccessful candidate for reelection in 1938 to the Seventy-sixth Congress; senior engineer in Region II of the Federal Public Housing Authority 1940-1944; reengaged in the real-estate and building business in Pittsburgh, Pa., until June 1949;moved to Los Angeles, Calif., and continued the real-estate, insurance, and building business; is a resident of Laguna Hills, Calif.
GAYDOS, Joseph Matthew (of Slovak descent), a Representative from Pennsylvania; born Braddock, PA., July 3,1926; pre-law Duquesne University; LL.B. University of Notre Dame Law School; former Pennsylvania State senator, 45th District; former deputy attorney general, Pennsylvania; former assistant solicitor of Allegheny County; former general counsel to United Mine Workers of America, District 5; former solicitor for various municipalities, school districts, and authorities; World War II veteran USNR, honorable discharge; elected as a Democrat from 20th Dist., PA to 90th Congress, November 5,1968, to fill the unexpired term of the late Elmer Holland and also to 91st Congress; reelected to each succeeding Congress. HRUSKA, Roman Lee (of Bohemian descent), Representative from Nebraska and a Senator a (see under U.S. Senators). KITTERA, John Wilkes (thought to be a descendant of Moravian Brethren), a Representative from Pennsylvania; born near Blue Ball, East End Town ship, Lancaster County, Pa., in November 1752; was graduated from Princeton College in 1776; studied law; was admitted to the bar in 1782 and commenced practice in Lancaster, Pa.; elected as a Federalist to the Second and to the four succeeding Congresses (March 4, 1791-March 3, 1801); appointed by President Jefferson as United States attorney for the eastern district of Pennsylvania March 4, 1801, and served until his death in Lancaster, Pa., on June 6, 1801; interment in Presbyterian Cemetery. KITTERA, Thomas (thought to be a descendant of Moravian Brethren, son of John Wilkes Kittera), a Representative from Pennsylvania; born in Lancaster, Pa,, March 21, 1789; was graduated from the University of Pennsylvania at Philadelphia in 1805; studied law; was admitted to the bar in 1808 and commenced practice in Philadelphia; deputy attorney general of Pennsylvania in 1817 and 1818; deputy attorney general of Philadelphia 1824-1826; member of the select council and its president 1824-1826; elected as a Federalist to the Nineteenth Congress to fill the vacancy caused by the resignation of Joseph Hemphil and served from October 10, 1826, to March 3,1827; at the same election vas an unsuccessful candidate for election to the Twentieth Congress; died in Philadelphia, Pa., on June 16, 1839; interment in St. Paul’s Protestant Episcopal Church Cemetery. KONOP, Thomas Prank (of Bohemian descent), a Representative from Wisconsin; born in Franklin, Wis., August 17, 1879; educated at Two Rivers High School, Oshkosh State Normal School, and Northern Illinois College of Law; was graduated from the law department of the University of Nebraska at Lincoln in 1904; was admitted to the bar in 1904 and commenced practice in Kewaunee, Wis.; district attorney of Kewaunee County 1905-1911; moved to Green Bat, Wis., and practiced law 1915- 1917; elected as a Democrat to the Sixty-second, Sixty-third, and Sixty- fourth Congresses (March 4, 1911-March 3, 1917); unsuccessful candidate for reelection; resumed the practice of law in Madison, Wis.; member of the Wisconsin State Industrial Commission 1917-1922- member of State board of vocational education 1917-1922; moved to Mi!waukee, Wis. and continued the practice of law in 1922 to Milwaukee, Wis. and continued the practice of law in 1922 and 1923; dean of the College and Law of the University of Notre Dame 1923-194 1, and dean emeritus and professor of law until his retirement in 1950; resided in South Bend, Ind., until 1962; died in San Pierre, md., October 17, 1964, where he had resided for two years; interment in Highland Cemetery, South Bend, MD. LAMAR, Lucius Quintus Cincinnatus (descendant of A. Herman), a Representative and a Senator from Mississippi (see under U.S. Senators). LAMAR, William Bailey (nephew of Lucius Quintus Cincinnatus Lamar- descendant of A. Herman), a Representative from Florida; born near Monticello, Jefferson County, Ha., June 12, 1853; attended Jefferson Academy at Monticello and the University of Georgia, Athens, Ga., where he resided from 1866 until 1873; returned to Florida in the latter year; was graduated from the Lebanon Law School, Lebanon Tenn., in 1875; was admitted to the bar; commenced practice in Tupelo, Miss. ; admitted to practice law in the courts of Florida in 1876; clerk of the circuit court of Jefferson County, Fla,, January 1877 to January 1881; judge of the county court of Jefferson County 1883-1886; member of the State house of representatives in 1887 and was chosen speaker, but declined; attorney general of Florida 1889-1903; elected as a Democrat to the Fifty-eighth, Fifty-ninth, and Sixtieth Congresses (March 4,1903-March 3, 1909); did not seek renomination; unsuccessful candidate for the nomination for United States Senator in 1908; national commissioner to the Panama-Pacific International Exposition at San Francisco in 1915; retired from public and business life; moved to Washington, D.C. in 1916; died at his winter home in Thomasville, Thomas County, Ga., September 26, 1928; interment in Oconee Hill Cemetery, Athens, Ga.
MICHALEK, Anthony, a Representative from Illinois; born in Radvanov, Bohemia, January 16, 1878; immigrated to the United States with his parents, who settled in Chicago, Ill., in 1878; attended the common schools; became engaged as book-keeper; elected as a Republican to the Fifty-ninth Congress (March 4, 1905-March 3, 1907; unsuccessful candidate for reelection in 1906 to the Sixtieth Congress and for election in 1908 to the Sixty-first Congress; president and manager of the musical conservatory, Chicago, Ill.; died in Chicago Ill., December 21, 1916; interment in St. Adalbert’s Cemetery. MITCHELL, George Edward (descendant of A. Herman), a Representative from Maryland; born at Head of Elk (now Elkton), Cecil County, Md., March 3, 1781; completed prepatory studies and was graduated from the medical department of the University of Pennsylvania at Philadelphia June 5, 1805; practiced medicine in Elkton, Md. 1806-1812; member of the State house of delegates in 1808; member of the executive council of Maryland and served as president 1809-1812; served in the War of 1812; commissioned major of the Third Maryland Artillery May 1,1812; lieutenant colonel March 3, 1813; transferred to Artillery Corps May 12, 1814, and to the Third Artillery June 1, 1814; brevetted colonel May 5, 1814, for gallant conduct in repelling attack of British forces at Fort Aswego, N.Y.; resigned June 1, 1821; elected as a Democrat to the Eighteenth and Nineteenth Congresses (March 4, 1823-March 3, 1827); was not a candidate for renomination in 1826; unsuccessful candidate for the governorship in 1829; elected to the Twenty-first and Twenty-second Congresses and served from December 7, 1829, until his death in Washington, Dc.. June 28, 1832; interment in the Congressional Cemetery. MOTTL, Ronald Milton (of Bohemian descent), a Representative from Ohio; born in Cleveland, February 6,1934; graduated Parma High School 1952; BS., University of Notre Dame 1956, LL.B, 1957; attorney, admitted to Ohio Bar, 1957; served U.S. Army; member Ohio State Legislature representative, 1967-69; senator, 1969-74; Cleveland, Cuyahoga County, Ohio and American Bar Associations and American Trial Lawyers Association; Parma (Ohio) Ward 2 Council, 1960-61; Parma Council president, 1962-66; co-chairman and founder of Congressional Suburban Caucus; elected as a Democrat from 23rd Ohio District to the 94th through 97thCongress;practices law Parma; resident of Parma, OH. MRAZEK, Robert J. (of Bohemian descent), a Representative from New York; born in Newport, R.I,, November 6,1945; attended public schools in Huntington, L.I, graduated with a degree in government from Cornell University, Ithaca, NY in 1967; accepted into Officer Candidate School as a line officer – U.S. Navy, being honorably discharged as disabled, retired in 1968; served on the -Washington staff of U.S. Senator Vance Hartke of Indiana, 1969-71; elected in 1975 to the first of four terms in the Suffolk County Legislature serving as finance committee chairman 1976-78, and minority leader 1979-82; elected to the House Committee on Appropriations in the 98th Congress; writer, small businessman, member of the Disabled American Veterans and the United Methodist Church of Huntington and Cold Spring Harbor; elected as a Democrat from N.Y. 3rd Dist. to the 98th Congress on November 2, 1982; re-elected to the 99th and 100th Congresses. PHILLIPS, Henry Myer (of Bohemian descent), a Representative from Pennsylvania; born in Philadelphia, Pa., June 30, 1811; attended the Philadelphia schools arid Franklin Institute; studied law; was admitted to the bar in 1842 and commenced practice in Philadelphia; clerk of the court of common pleas of Philadelphia; elected as a Democrat to the Thirty-fifth Congress (March 4, 1857-March 3, 1859); unsuccessful candidate for reelection in 2858 to the Thirty-sixth Congress; resumed the practice of law in Philadelphia; trustee of Jefferson Medical College in 1862; appointed a member of the Board of Fairmount Park Commissioners In 1867 and elected its president in 1881; member of the Board of City Trusts in 1869, vice president of the board 1870-1 878, and president 1878-1882; director of the Academy of Music in 1870 and president in 1872, resigning in 1884; member of the commission to supervise the erection of the municipal buildings in Philadelphia in 1870, resigning in 1871; director of the Pennsylvania Railroad Co. in 1874; died in Philadelphia, Pa., August 28, 1884; interment in Mount Sinai Cemetery, Frankford (Philadelphia), Pa.
RANDOLPH, Edmund Jennings (descendant of A. Herman), a Delegate from Virginia; born in Williamsburg, Va., August 10,1753; was graduated from Williams and Mary College, Williamsburg, Va.; studied law; was admitted to the bar and commenced practice in Williamsburg; served in the Revolutionary Army and was aide-dc-camp to General Washington; attorney general of Virginia in 1776;Meniber of the Continental Congress 1779-1782; elected Governor of Virginia in 1786 but resigned in 1788 to serve in the State house of delegates in order that he might participate in the codification of the laws of Virginia in 1788 and 1789; member of it the convention that framed the Federal Constitution; was appointed the first Attorney General of the United States, in the Cabinet of President Washington, on September 26, 1789; transferred to the State Department as Secretary of State on January 2, 1794, and served until August 19, 1795, when he was requested to resign following charges (subsequently found to be false) preferred by Minister Fauchet of France; was the principal counsel for Aaron Burr when the latter was tried for treason; died in Clarke .County, Va,, September 12, 1813; interment in the Old Chapel Cemetery, Millwood, Va.
ROSS, David (descendant of A. Herman), a Delegate from Maryland; born in Prince Georges County, Md., February 12, 1755; appointed by General Washington major of Grayson’s additional Continental regiment L January 1,1777, and served until December 20, 1777, when he resigned; upon the death of his father devoted his time to the management of the large estate descending to the family; studied law; was admitted to the bar in 1783 and commenced the practice of his profession in Frederick County, Md. ; Member of the Continental Congress 1786-1788; died in Frederick County, Md., in 1800. SABATH, Adolph Joachim, a Representative from Illinois; born in Zabori, Czechoslovakia, April 4, 1866; attended the schools in his native town; immigrated to the United States in 1881 and settled in Chicago, ill.; was graduated from the Chicago College of Law in 1891; was admitted to the bar in 1892 and commenced practice in Chicago. ; ward committeeman and district leader in Chicago 1892-1944; appointed justice of the peace for the city of Chicago in 1895; police magistrate 1897-1906; member of the central and executive committees of the Democratic Party from 1909 to 1920; delegate to all the Democratic State conventions 1890-1952; delegate to all Democratic National Conventions 1896-1944; declined nomination for municipal judge; elected as a Democrat to the Sixtieth and to the twenty-three succeeding Congresses, but died before the convening of the Eighty-third Congress; served from March 4,1907, until his death in the Naval Hospital at Bethesda, Md., November 6,1952; interment in Forest Home Cemetery, Forest Park, Ill.
SCHNEIDER, Claudine (nee Cmarada; of Slovak descent), a Representative from Rhode Island; born in Clairton, PA, March 25, 1947; attended parochial schools; graduated, Winchester Thurston School, 1965; studied at the University of Barcelona, Spain; Rosemont College, Pa.; Windham College, VT, B.A., 1969; attended University of Rhode Island School of Community Planning; executive administrator, Concern, Inc, 1969; founder, Rhode Island Committee on Energy, 1973; executive director, Conservation Law Foundation, 1974; Federal coordinator, Rhode Island Coastal Zone Management Program, 1978; producer/hostess, public affairs program, WJAR-TV, Providence, RI, 1978-79; Rhode Island Woman’s Political Caucus, Woman of the Year, 1978; South County Jaycees, Outstanding Young Person of the Year, 1979 and 1983; statewide chairman, special events, American Cancer Society, 1979; member Committees on Merchant Marine and Fisheries, Science and Technology, and Select Committee on Aging; elected as Republican to the Ninety-seventh Congress, November 4, 1980 from 2nd Distr-, RI; reelected to the 98th, 99th and 100th Congresses. SHOBER, Francis Edwin (descendant of Moravian Brethren from Moravia), a Representative from North Carolina; born in Salem (now Winston- Salem), NC., March 12, 1831; attended the common, schools and the Moravian School, Bethlehem, Pa,; was graduated from the University of North Carolina at Chapel Hill in 1851.; studied law, was admitted to the bar in 1853 and commenced practice in Salisbury, N.C., in 1854; member of the State house of commons in 1862 and 1864; served in the State senate in 1865; elected as a Democrat to the Forty-first and Forty-second Congresses (March 4, 1869-March 3, 1873); was not a candidate for renomination in 1872; delegate to the State constitutional convention in 1875; county judge of Rowan County in 1877 and 1878; appointed Chief Clerk of the United States Senate in the Forty-fifth Congress; upon the death of Secretary John C. Burch in the Forty-seventh Congress was appointed Acting Secretary of the Senate and served from October 24, 188!, to March 3,1883; delegate to the Democratic National Convention in 1880 and 1884; again a member of the State senate in 1887; resumed the practice of his profession; died in Salisbury, Rowan County, NC, May 29, 1896; interment in Oakdale Cemetery. SHOBER, Francis Emanuel (son of Francis Edwin Shober, descendant of Moravian Brethren from Moravia), a Representative from New York; born in Salisbury, NC,, October 24, 1860; studied under private tutors; was graduated from St. Stephen’s College, Annandale, NY., in 1880; engaged in ministerial and educational work in Dutchess County, NY. ; reporter on the News-Press of Poughkeepsie; pastor of St. John’s Episcopal Church at Barrytown N.Y., 1880-1891; editor of the Rockaway Journal at Far Rockaway, N.Y., member of the editorial staff of the New York World; elected as a Fifty-eighth Congress (March 4, 1903-March 3, 1905); unsuccessful candidate for the renomination in 1904; deputy tax appraiser of the State of New York in 1907 and 1908; resumed newspaper work; editor of the New. York American until his death in New York City October 7, 1919;intermentin Worcester Cemetery, Danbury, Fairfield County, Conn.
STEFAN, Karl, a Representative from Nebraska; born on a farm near Zebrakov, Bohemia, March 1, 1884; immigrated to the United States m 1885 with his parents who settled in Omaha, Douglas County, Nebr. ; attended the public schools in Omaha, Nebr., and later the Y.M.C.A. night school; private in the ‘Illinois National Guard; lieutenant in the Nebraska National Guard; served as inspector of telegraph in Philippine Constabulary 1904-1906; moved to Norfolk, Nebr,, in 1909; instructor, Morse and Continental codes, during the First World War; served as telegrapher and later as city editor of the Norfolk Daily News until 1924; radio commentator and contributor to newspapers and magazines until 1934; president of the Stefan Co., publishers’ agent for magazines and newspapers; member of congressional committee aiding inauguration of Philippine Commonwealth Government, Manila, P.1., 1935; delegate to the Inter-parliamentary Union, Oslo, Norway, in 1939; official advisor, United Nations Conference, San Francisco, Calif., in 1945; elected as a Republican to the Seventy-fourth and the eight succeeding Congresses and served from January 3, 1935, until his death in Washington, D.C., October 2,1951; interment in Prospect Hill Cemetery, Norfolk, Nebr. VANIK, Charles Albert (of Bohemian descent), a Representative from Ohio; born in Cleveland, Cuyahoga County, Ohio, April 7,1913; attended the public schools; was graduated from Adelbert College of Western Reserve University, Cleveland, Ohio, in 1933, and from Western University Law School in 1936; was admitted to the bar in 1936 and commenced the practice of law in Cleveland, Ohio; member of Cleveland City Council in 1938 and 1939; served in the State senate 1940-1942; member of Cleveland Board of Education in 1941 and 1942; during World War II enlisted in the United States Naval Reserve as an ensign in 1942 and served with amphibious forces of the Atlantic and Pacific Fleets; participated in the invasion of North Africa; Sicily, and Okinawa; released from active duty as a lieutenant in December 1945; appointed a member of the Cleveland Library Board in January 1946; elected judge of Cleveland Municipal Court in 1947 and reelected in 1949 for a six year term, but resigned in March 1954 to campaign for Congress; served as referee with Ohio Industrial Commission; legal advisor to the Ohio highway director; elected as a Democrat to the Eighty-fourth and to the twelve succeeding Congresses (January 3, 1955-January 3,1981); member of Ways and Means Committee and chairman of subcommittee on trade; resumed law practice; resident of Cleveland, Oil. VISCLOSKY, Peter John (of Slovak descent), a Representative from Indiana; born in Gary, IN, on August 13, 1949; attended’ St. Mark’s elementary school, Gary; Holy Cross Seminary, La Crosse, WI, 1963-65; graduated, Andrean High School, Merrillville, 1965-67; ES., accounting, Indiana University, Gary, 1970; J.D., University of Notre Dame Law School, Notre Dame, IN, 1973; L.L.M,, international and comparative law, Georgetown University Law Center, Washington, DC, 1982; attorney, 1974-76; admitted to Indiana State Bar, 1974, the District of Columbia r Bar, 1978, and the U.S. Supreme Court Bar, 1980; associate staff, US House of Representatives, Committee on Appropriations, 1977-80, Committee on the Budget, 1980-82; practicing attorney, Merrillville law firm, 1983-84; elected to the 99th Congress on November 6,1984, and reelected in 1986. WAINWRIGHT, Jonathan Mayhew (a descendant of F. Philipse), a Representative from New York; born in New York City, N. Y., December 10, 1864; was graduated from Columbia College and Columbia School of Political Science, New York City, in 1884, and from Columbia Law School in 1886; was admitted to the bar the same year and practiced in New York City and in Westchester County, N. Y,; served in the Twelfth Infantry of the New York National Guard successively as second lieutenant, first lieutenant, captain, major and lieutenant colonel 1889-1903; also served in the war with Spain as captain of the Twelfth Regiment, New York Volunteers; president of the Westchester County Bar Association 1904-1906; member of the State assembly 1902-1908; served in the State senate 1909-1913; appointed as a member of the first New York State Workmen’s Compensation Commission in 1914 and served until 1915; served as lieutenant colonel, inspector general’s department, New York National Guard, on the Mexican border in 1915; during the First World War served as a lieutenant colonel in the Twenty-seventh Division throughout its entire service in this country, France, and Belgium, 1917-1919, participating in all of its engagements; awarded the Distinguished Service Medal, the Croix de Guerre with Palm (Belgium, the decoration officer of the Legion of Honor (French), AND THE New York State. Conspicuous Service Cross; Assistant Secretary of War from March 14,1921 K to March 4,1923, when he resigned; elected as a Republican to the Sixty-eight and to the three succeeding Congresses (March 4, 1923-March 3, 1931); was not a candidate for renomination in 1930; resumed the practice of law; member of the Westchester County Park Commission 1930-1937; died in Rye, NY, June 3, 1945, interment in Greenwood Union Cemetery. 1. Francis Dvornik, Czech Contributions to the Growth of the United States (Lisle: Illinois Benedictine Press, 1962; Josef Stasko, Slovaks in the United States of America. Brief Sketches of their History, National Heritage and Activities (Cambridge, Ont. : Dobra Kniha, 1974). 3. Thomas Capek, Ancestry of Frederick Philipse, First Lord and Founder of Philzpse Manor at Yonkers (New York: Paebar, 1939). 4. Georg Neisser, A List of the Bohemian and Moravian Emigrants to Sa.xony. Translated and edited by Albert G. Raw In: Transactions of the Moravian Historical Society, Vol. 9, Pt 3-4 (Bethlehem,PA, 1913), pp. 37-100: A History of the Beginnings of Moravian Work in America being a translation of George Neisser’s manuscripts: “Brief Treaties Con~ cerning the Initial Spread of the Moravian and Bohemian Brethren in the North American Colonies and Missions from the year 1732 to 1741.” The Archives of the Moravian Church, Publication No. 1 (Bethlehem, PA, 1955). 5. Although not as yet verified, it is likely that DeMuth is a descendant of the Demuth family that immigrated to the U.S. in the eighteenth century from Moravia. 6. Thomas Capek, a noted historian of American Czechs, surmised that John Wilkes Kittera and his son Thomas are descendants of Moravian Brethren who settled in Pennsylvania in the eighteenth century. 7. In this connection it is of interest that Thomas Capek was able to identify only seven congressmen of Czechoslovak origin in his Amen can Czechs in Public Office (Omaha, Czech Historital Society of Nebraska, 1940). 8. Despite his Czech sounding name, we have not included in our listing William Paca (1740-1789), a signer of the Declaration of Independence and a member of the Second Continental Congress, who has been claimed as their native son both by the Italians and the Czechs. As of this time, definitive evidence is still lacking regarding Paca’s ethnic origin.